Come Fly with Me . 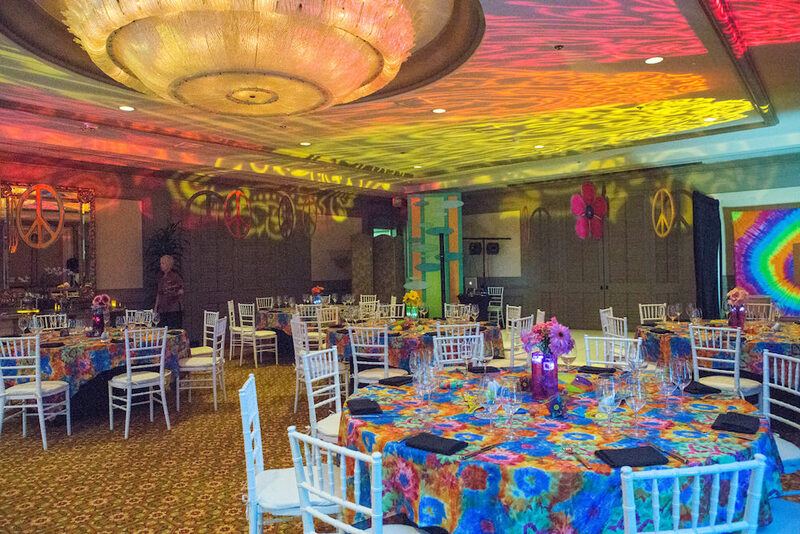 . .
We recently created a Sixties-inspired event for an established client - MicroSemi - to be held at the Four Seasons Maui. We have built a level of trust and understanding working together throughout the years and have fun working together to be creative and fresh. However, repeat clients require that “What’s next? What’s new? What’s different?” conversation and the discussion soon ended with themed events for their corporate incentive trip. You can tell by the photos this group was really into it! The inner hippies came out in full splendor! We created custom graphics, decor, menu, and of course, supplied plenty of extra props. 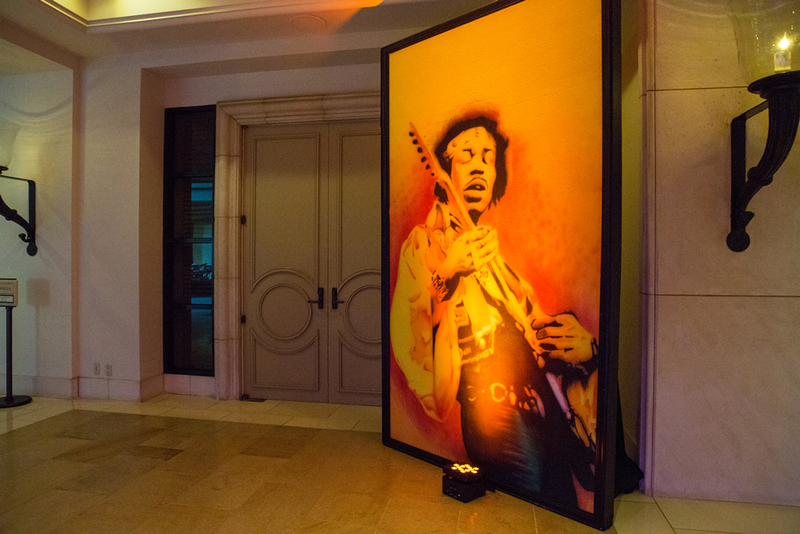 The bigger-than-life-sized Jimi Hendrix really set the mood for the party. And for the inquiring minds, Hawaii has not legalized marijuana, so Maui Wowie was not on the menu. Below are a few helpful hints when planning themed events on the islands. Inspired events in Hawaii take advance planning. Specialty items that provide that “pop” in the event design can be somewhat hard to find or are in limited supply. Be sure to reserve well in advance or allow time to create them specifically for your event. Give your guests time. Giving your guests advance notice means they have time to pull together and pack their own pieces and parts to be part of the dramatic experience! Lighting. As always, well-designed event lighting can be your best friend. Versatile, moving, logo-customized, and targeted lighting can take any space from drab to groovy in no time flat. Make it relevant: Many of the guests at this event were “in their prime” in the 1960’s and thought it was amazing to relive the memories for one night! They were engaged and it brought flashbacks of a time they loved! Know your guests and what they relate to. For example, a sci-fi inspired event would not have done so well for this group. Copyright © 2016 Island Events, LLC. All rights reserved.